Since the holidays I’ve been on a sign making binge. I keep telling myself I’m preparing for my office makeover, but seriously its all I can think about. I think it might be too much Instagram seeing all those inspiring ideas. However, I realize not everyone is equipped with tools, or maybe you’re just too intimidated to pick them up (don’t worry, it took me long enough to find my brave). Today I wanted to share an alternative idea, FOAM! 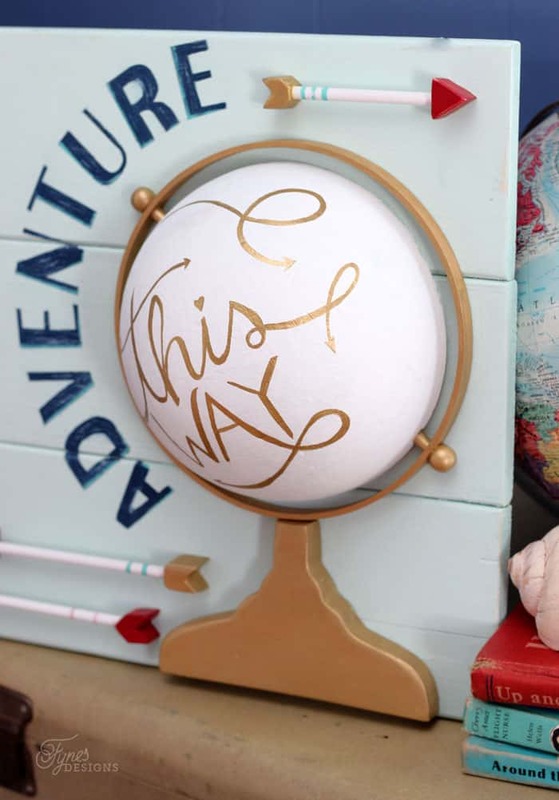 I’ve really been diggin’ all these painted globe projects I’ve been seeing all over pinterest, but finding one you want to repurpose is a challenge, and then stomaching the thought of painting is too much for me. Isn’t this a fun alternative?! The base of my project is still wood, I figure it is easy enough to have them cut that part at the Home Depot for you (my sign is made from 1×6 spruce) but the other pieces that give the sign dimension are all made fromMake It: Fun® Foam. However, I’ve seen some really great signs like this Deer Head Pallet Art from Lolly Jane made entirely from Make It: Fun® Foam. Start with a FloraCraft® Make It: Fun® Foam Sheet. 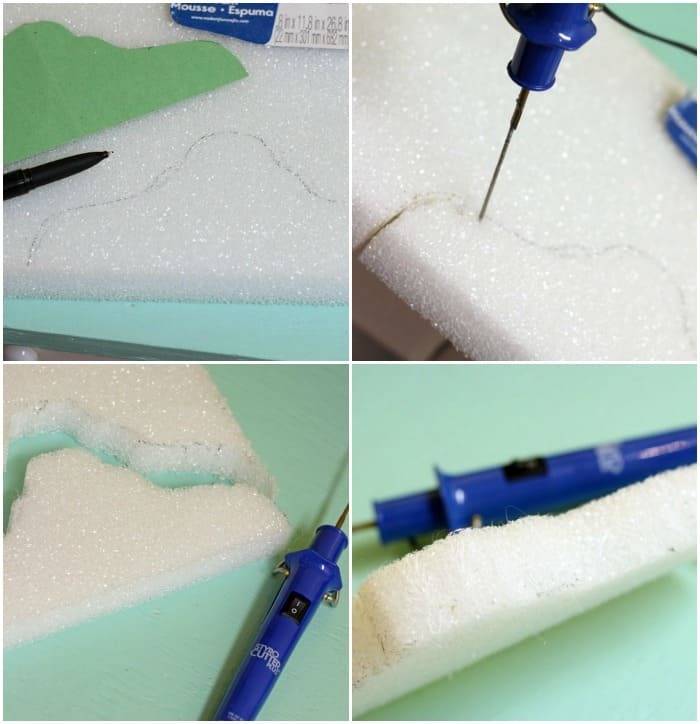 Trace the pattern piece onto the foam with a marker. Plug in the FloraCraft® StyroCutter® Plus so it can get up to temp. Smoothly glide the StyroCutter® Plus wand along the traced line. Don’t force it, let the cutter do the work for you. Once the wand is hot it will slide though like butter. Seriously I had to recut this piece above because it melted a giant hole in it when I snapped the photo, eeek. The beauty of using the StyroCutter® Plus verses a knife is it melts the edge as you go, so there is no after mess. To make the foam paintable I used Smooth Finish. 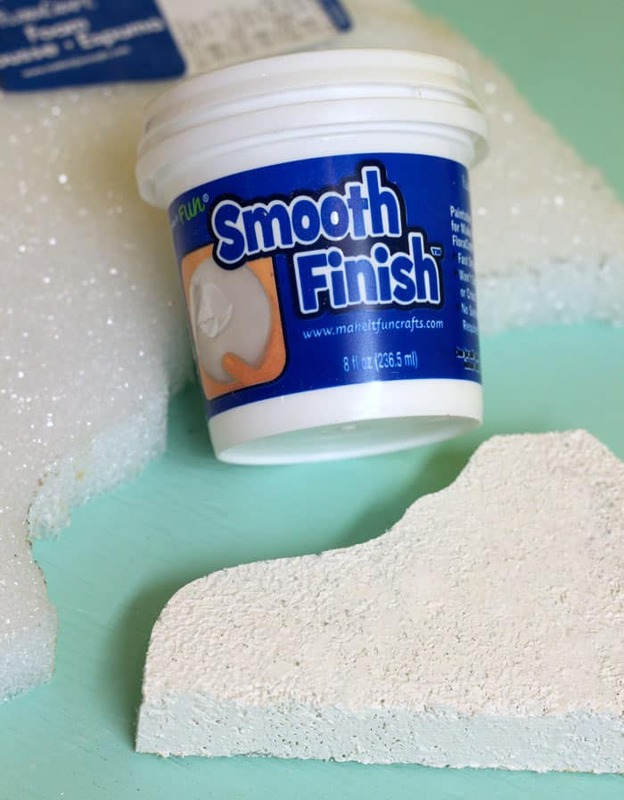 Apply it just as you would putty to a wall, and allow to dry, give a light sanding between coats. The picture above is after the first layer. I added two additional layers, and then sanded smooth to finish. For the ball of the globe I used the same method. To adhere the ball and the base to the wood I used a low temp hot glue gun. 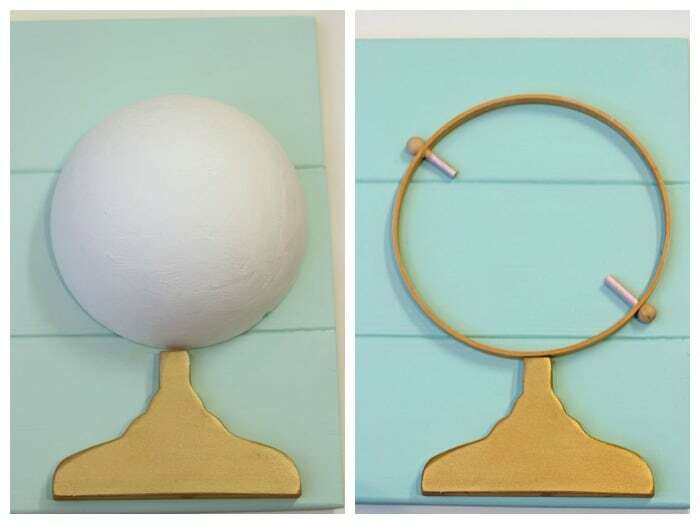 To create the ring of the globe I used the inside of an embroidery hoop, two small pieces of dowel and wood beads, also hot glued to the frame. Melt knotches into the ball with the StyroCutter® where the dowel pieces will meet, so the ball will lay flush to the wood. To create the arrows, cut the front and back piece from foam, and repeat above steps. The stick of the arrows are made from dollar store pencils. 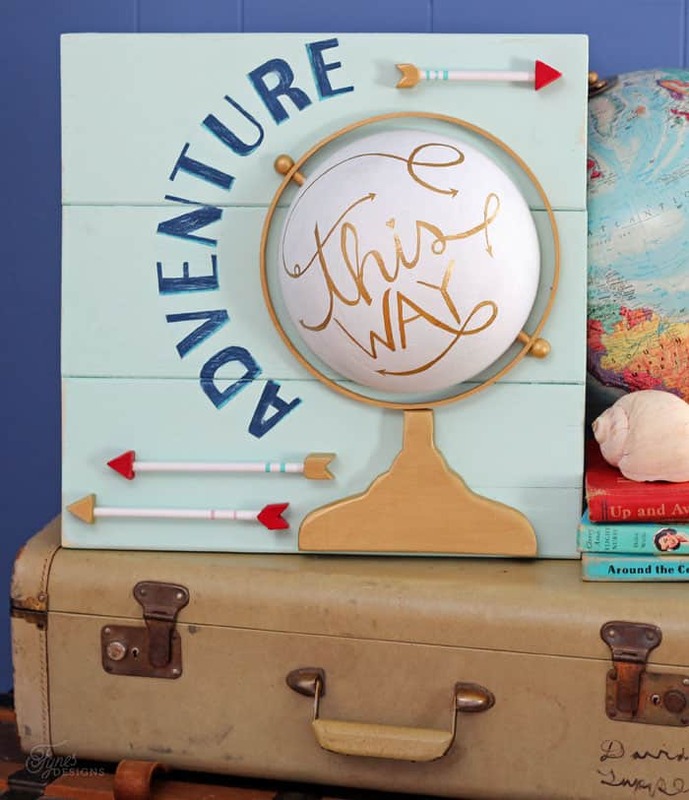 This sign will be a great reminder that adventure is all around us, maybe just Around the Corner. That book title was not intentional at all, ironic eh? 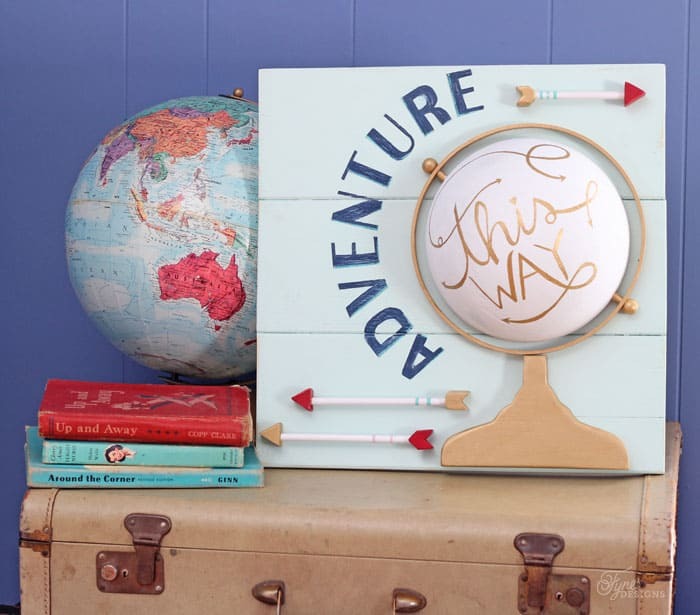 Don’t you think this is a great alternative for globe artwork?! I’m really happy how it turned out. Did you know I have used this technique before? 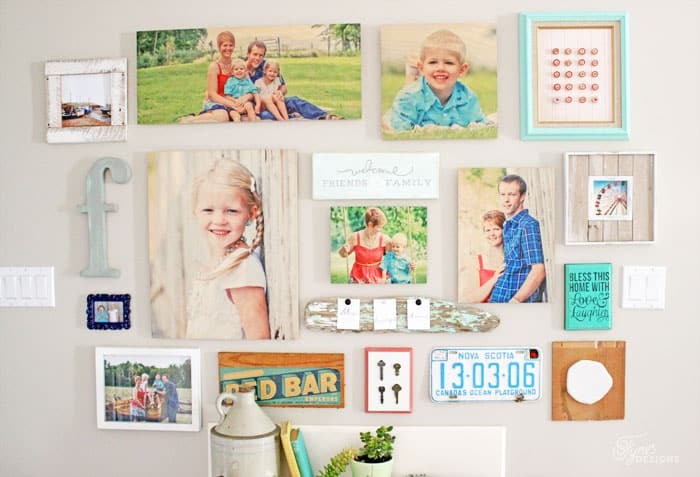 The ‘F’ on my gallery wall is also made using Make It: Fun® Foam! Thanks Ellie, It was so easy to make! This looks awesome! I can’t believe its foam. Thanks! I’m so happy with the end result! I saw this on pinterest just now and had to let you know how cool this fake globe project was. My goodness it oozes nothing but cuteness! I pinned it. Thanks Kim, You’re too sweet! I’ve never heard of this stuff before, and now I WANT it. So many ideas! This is so cool. It is so easy to work with, and te fact you can make great pieces of art with little effort and no big power tools is quite cool! Thanks for visiting! This looks fantastic and makes for really unique wall art. Would love to feature this next week, but can’t find if you have a link party page or party links anywhere. Thanks for sharing this at the Craftastic Monday Link Party at Sew Can Do. Thanks for visiting Cheryl. I don’t have a links page, I usually add a link after I’ve been featured. This is beautiful, Virginia! You did an incredible job. And so clever adding in the pencils and embroidery hoop. Thank you! That is so awesome! Do they sell these the smooth finish at Michaels? I want to make one too. 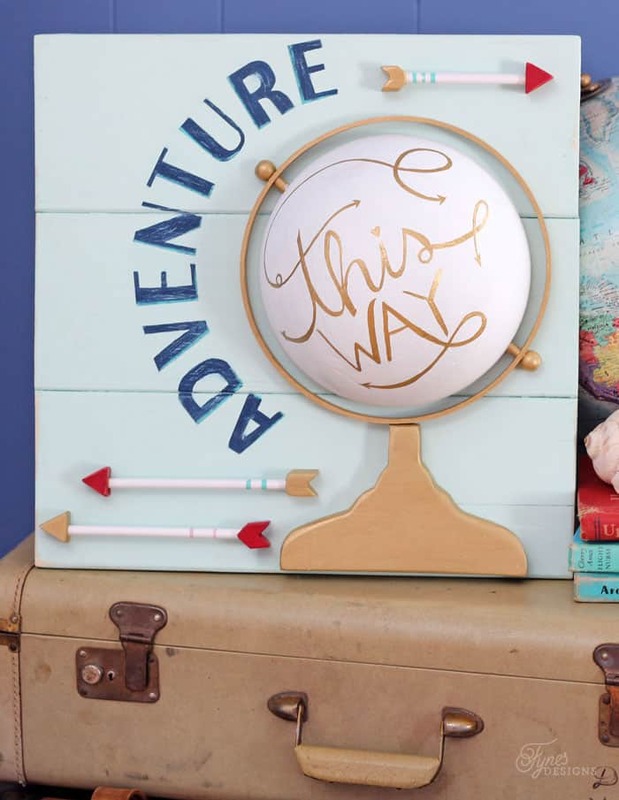 As someone who has zero room for an actual globe at the moment, this is a fun alternative! What a neat trick with the foam! I would have NEVER thought of that! You’re the craftiest person ever Virginia! You had me at dollar store pencils for arrows! Plus you cut foam with a cute little tool?!? Awesome! So cute! I’m so glad you linked this up to the Be. YOU. tiful link party. Featuring your project on tomorrows party!